If by any chance you are looking for reliable Career Consultants, we are the right option to choose! 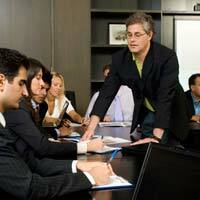 We are a distinguished Career Consultant in Visakhapatnam (Andhra Pradesh). We are supported by a team of not only qualified but highly skilled and experienced HR Professionals. They have superb analytical abilities and so can easily assess the interests, skills, and abilities of the candidates. As a result, they can suggest the candidates the right field to choose. We understand that the whole life depends on choosing the right career and therefore we ensure that the candidates make a wise decision about their profession.